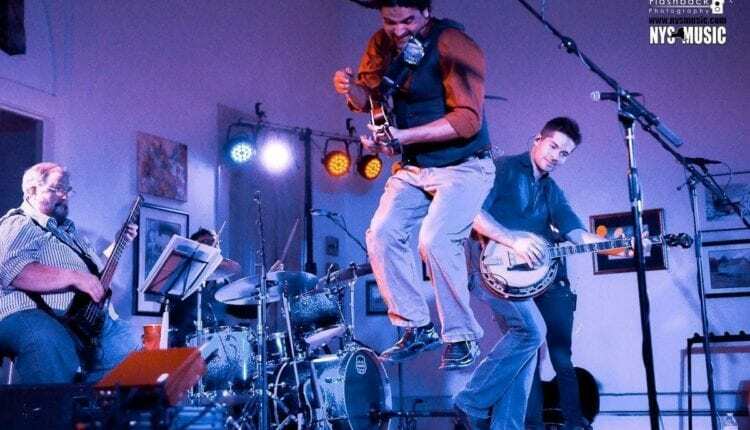 Progressive string band, Floodwood, will celebrate the release of its third album at Central New York’s Kirkland Art Center. The two day celebration, to be held Friday and Saturday Dec. 8 and 9 will feature four sets from the headliners along with guest appearances from Nigel Felony on Friday and the Old Main on Saturday. Tickets are $25 each night or $40 for both nights. Members of the Kirkland Art Center can purchase tickets for $23 each night or $36 for both nights. Tickets are available through Eventbrite. 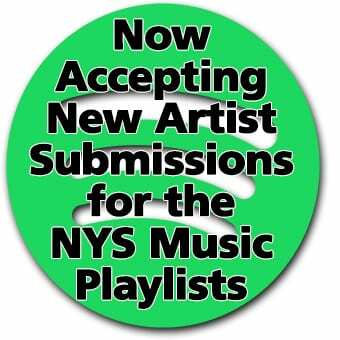 Floodwood is Jason Barady and Nick Piccininni of Woodenspoon, Vinnie Amico of moe., Tony Markellis of the Trey Anastasio Band and Chris Eves of Chris Eves and the New Normal, Castle Creek and Skunk City. Combined, they bring a menagerie of influences to their unique brand of bluegrass. The band’s third album (second studio album),‘Til I Die was released on Dec. 1. It was recorded over the past year at RDRAUDIO Studios in Amsterdam and was produced and mixed by the band’s engineer Mark Cochi with additional recording by Casey Latter. The new album is available digitally on Amazon, CD Baby, iTunes and Bandcamp and physical copies will be available at all shows. Tony Markellis is a bassist and record producer from Helena, Montana, now residing in Saratoga Springs, NY. His career spans over forty years, playing blues, folk, jazz, rock and country music with musicians such as Trey Anastasio, Paul Butterfield, The Mamas & the Papas, Johnny Shines, David Bromberg and many, many more. Markellis was a founding member of the groundbreaking Vermont-based jazz fusion group Kilimanjaro, as well as the Unknown Blues Band featuring Big Joe Burrell. Nick Piccininni is a self taught banjoist/fiddler who learned his bluegrass chops the old fashioned way – in picking circles at his favorite bluegrass festivals. He has been involved in many projects including touring for two years with CMA recording artists, The Abrams Brothers. Nick arguably smiles the most of anyone in the band. The Kirkland Art Center is a regional multi-arts center located in an old church in the heart of historic Clinton, New York facing the Village Green. The center has been integral in maintaining cultural endeavors in Central New York for over 50 years. 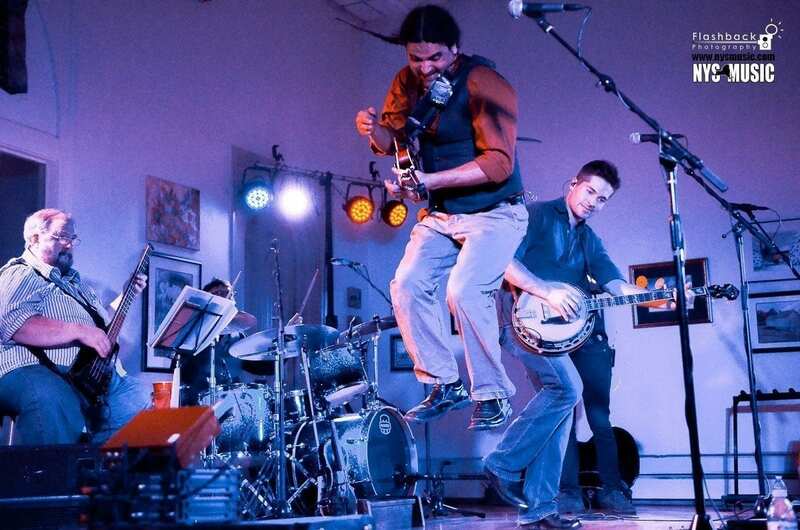 Floodwood always puts on an engaging show, filled with humor and brotherly competition. Check out some fan shot video of Floodwood’s newest member, Eves, kickin’ it at Funk ‘n Waffles in Syracuse last year below.